Adtech’s CNC Plasma Cutting & Flame Cutting integration units can be customized in terms of software by user request for any retrofit requirements. They support G code; Process modularity; Wireless MPG(HC6500) for debugging; USB communication, U disk copy for convenient upgrades and program copying; Multi-language; Hardware and Software limit alarm for safety operation and running, DXF leading-out graph function, multi-graphics libraries. ADT-HCB2001 Capacitive Torch Height Controller The ADT-HCB2001 Capacitive height controller is used to control cut stand off between the oxy torch and plate. Capacitive torch control detects capacity variation caused by height change and adjusts the torch height accordingly. The ADT-HCA1002 Stand-alone CNC Plasma Torch Height Controller is an Arc Voltage Torch Height controller, full of functions specifically suited to plasma cutters and cutting machinery. ADT-HCA1003 Economical Type CNC Plasma Torch Height Controller The ADT-HCA1003 Economical Type CNC Plasma Torch Height Controller is a simple ACR voltage adjusting controller of excellent quality for the price and with simple operation. ADT-HC4300 Economical type CNC Plasma/flame cutting control system ADT-HC4300 is an economical plasma and flame cutting control system, it possesses very stable software and has been popular in the market for around 8 years. This control system has passed CE and ISO9001 certificates. It can be applied to portable plasma / flame cutting machines or small gantry cutting machines. ADT-HC6500 Popular Gantry type CNC Flame/Plasma Controller The ADT-HC6500 is a 10.4 inch display screen CNC Flame/Plasma controller, with strong anti-interference properties and the ability to control 2 or more of Hypertherm plasma sources without any interference. This Plasma CNC controller has passed CE and IS9001 certificates. 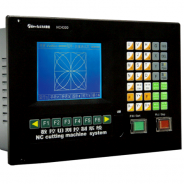 ADT-HC4500 is a new style Plasma/Flame cutting controller based on the HC4300. It adopts an ARM9 processor, super large customized IC chip, 7 Inch color LCD display screen, high Speed /precision and stable quality of hardware. 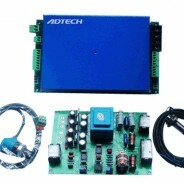 The ADT-HC8200 is a new high-end gantry type CNC Cutting Controller. The unit has passed CE and ISO certificates and adopts Inter Atom low power CPU Processing Cores. With industrial computer (IPC) & Windows operating systems, these units are both flexible and adaptable.